Flagship Food Group of Albuquerque, N.M., is recalling approximately 8,622 pounds of a frozen burrito product. The product may be contaminated with extraneous materials, specifically hard clear plastic. One minor oral injury associated with consumption of this product has been reported. 12-oz. 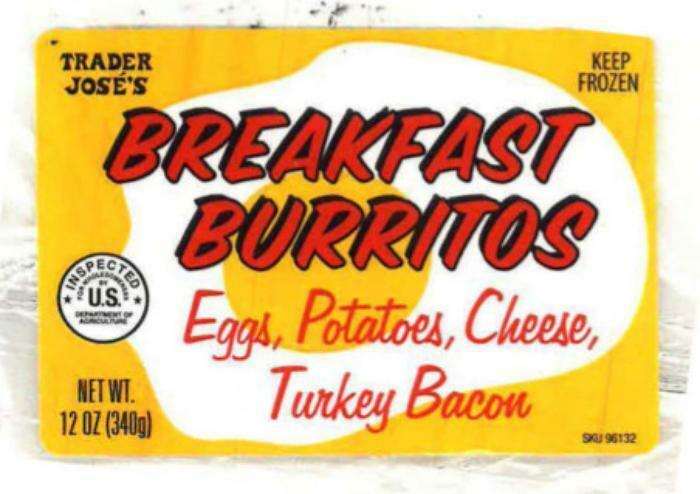 12”x5” paper card with plastic overwrap package labeled as “TRADER JOSE’S BREAKFAST BURRITOS Eggs, Potatoes, Cheese, Turkey Bacon,” lot code 266, SKU 96132 with package code A26616PFFG3 and case code 100-101280. The recalled product, bearing establishment number “EST. P-45574” located on the package, was shipped to retail distribution centers in Illinois and Pennsylvania. Consumers with questions about the recall may contact Jessica Haas at (800) 292-9900.